According to the Statistics for maternal and under-five child mortality rate in Nigeria, 2,300 children die daily from preventable causes. This was release by Dr Faisal Shuaib, the Executive Director, National Primary Health Care Development Agency. He spoke at a programme organised by the NPHCDA in collaboration with the Ministry of Health and other development partners of the agency in Abuja. 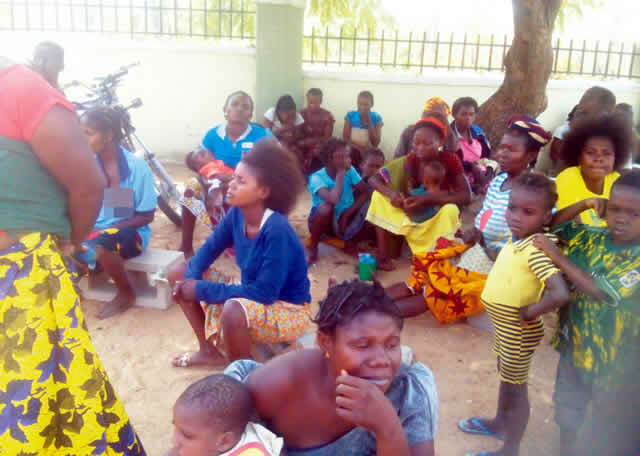 The agency disclosed its approach towards ensuring reduction in maternal and child maternity rate at the primary health care and community levels in the country at the Monday event. The NPHCDA boss also said 145 women died daily from preventable causes related to pregnancy and childbirth in the country. He likened the number of deaths to having 16 plane crashes daily in Nigeria with no survivors. He said the women and children that died daily in Nigeria hardly made the headlines because it often occurred in poor and vulnerable communities, stressing that the Federal Government’s target was to reduce the deaths by half by the year 2021. He added, “One out of 10 children under five years old that dies in the world is a Nigerian and one out of every eight Nigerian children dies before his or her fifth birthday. “Having noted the high rate of maternal, newborn and under-five child mortality and the insufficiency of our current efforts to reverse the trend, I hereby declare a state of public health concern on maternal, newborn, and child deaths occurring at the primary health care and community levels.” Faisal also announced the establishment of the National Emergency Maternal and Child Health Intervention Centre. He said the centre would work with the National Polio Emergency Operations Centre. “We are committed to rapidly reversing maternal, newborn and child death by half by 2021 through interventions that target the primary health care and community levels. A minimum target of 53 per cent reduction in MMR every five years is required for Nigeria to reach the SDG 2030 target of less than 70 deaths per 100,000 live births,” he said. At the event, a former military governor of Rivers State and current chairman of Bayelsa State Traditional Council, Alfred Diete-Spiff, said Bayelsa had taken step to reduce maternal mortality rate in the state by paying monthly allowance to pregnant women who registered for anti-natal treatment. Diete-Spiff, the Amayanabo of Twon-Brass, Bayelsa State, also said more than N1bn had been committed to measures to combat the challenge. The Emir of Argungu, Samaila Meira, said northern traditional leaders would support NPHCDA and the FG in their efforts to reduce deaths among women and children.